Things To Do In Yogyakarta Special District ~ Assalamualaikum, Hallo friend of Ashim Blog, how are you guys. Well on this special day I will share a cool and interesting topics, that is Things To Do In Yogyakarta Special District or in the language of Indonesia which means Hal Yang Dapat Kamu Lakukan Di Daerah Istimewa Yogyakarta. A very cozy town is increasingly becoming famous not only educational factors alone, one of the factors that makes this town became known in the world is a tourism factor. Right, just look around you if you're in the city, definitely you will find tourists, both local and foreign. 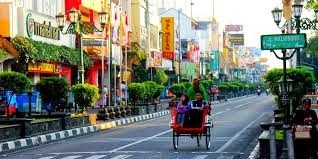 Many famous tourist attractions in the city, one of which was an area of Malioboro Street in Yogyakarta, which stretches from Tugu to the post office. This area is already known to international tourists, so that when tourists travel to Yogyakarta, surely will never miss the opportunity to visit Malioboro. In this there is an awful lot of Malioboro the stalls and street vendors who provide souvenirs Jogja, and there are also stalls and Angkringan always providing special food of Yogyakarta. This may be only we could tell them about Things To Do In Yogyakarta Special District. SO less apologize and thank you for reading this Special Edition article, Thanks you much !! 12 Mengomentari "Things To Do In Yogyakarta Special District"
Kok Universitas Muhammadiyah? 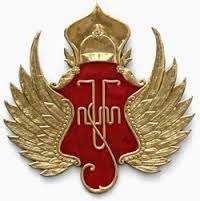 kan yang kedua terkenal itu Universitas Negeri Yogyakarta?